Since the map is so small compared to most BRs, I suspect they will be able to push out maps much faster. One thing I would like to see in a BR is randomized buildings. The structure of the map can stay the same, but when you enter into a village, the building types can be different and in different layouts. It doesn't have to be drastic. Knock on wood...I haven't had the crashes and bug issues. I have had randoms drop after they go down, after I rush to their crate to get their banner...I believe they intentionally disconnect. My problem with the game is that I am just not good at it. My twitch skills have deteriorated (not that they were ever tremendously strong). That said, I am still really enjoying the game and I love playing with this community. Are all the crashing issues on PC? I haven't experience a single problem, even when I was playing with Harkonis who lives like 8000 miles from me. I *have* had groups of 2, or even groups of 1, but that looked very much like people quitting, not them getting disconnected. 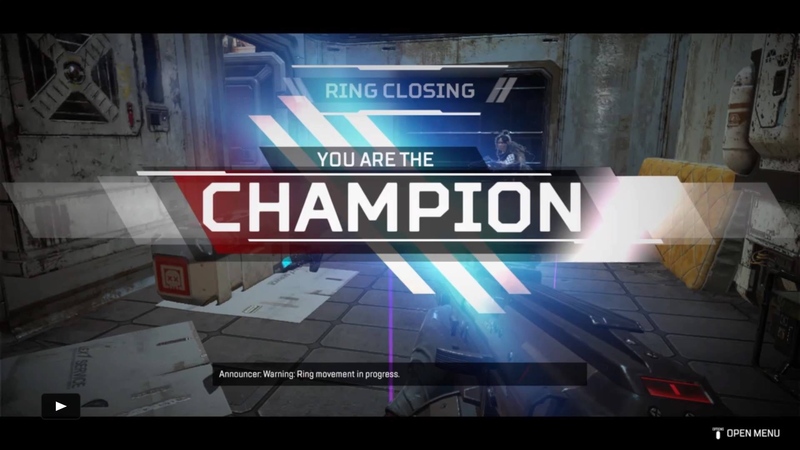 I was in a group of 2 today, and the other guy quit 10 seconds into the match, which showed up on the results screen at the end. I sometimes make more xp when they do quit, as I then stop trying to kill people and just hide at the edge of the map as long as possible. With me the groups issue was before the jump and before the character choice. It very well could've been people manually disconnecting, but it would have to be just as the 60/60 queue fills up. You can't manually disconnect on pc once the character selection starts until you are in the game proper. I've played with players from Germany and England without much problem at all. Granted that's a small slice of my time. It could be that i've put in a LOT of hours into this (100+) already and seeing it more than most, but it's frustrating especially at late game knowing that if you had the 3rd person the odds of that 2nd or 3rd place finish being an actual win. Win it does happen it seems to be an issue with the whole group. In one instance Escher crashed to desktop and i went to loot him and as soon as i did i crashed to desktop. Or one person in the group continually crashes over and over again. It could be due to the bug where someone gets kicked from their group during matchmaking. I have had a string of games where we all hit ready and when we get to character selection one of the group is replaced with a random. We got to the point that we would call out if we were in so we could quit before the character selection screen. So as soon as character creation is done we quit and regroup leaving that one random on his own. forgot about that one or the one where you can't ready up without a restart. The first five games I played last night crashed. After that it seemed to improve. Played some games with Higgledy and we had some bad luck. But it was fun to play with someone from the community! Of course after we stop, I try a couple more matches and four games later I get my third win and get my 2nd Last Kill of the game! I should have hung on and played for longer, looks like your fortunes changed! Not sure how I'm enjoying a game this much that I'm absolutely shockingly terrible at... but somehow I am! I’m hoping it’s going to click one of these days... There was one point where we moved into another squad and took them down. It feels very different to be the aggressor rather than the squad being attacked. I’m also moving to flank more which, from what I’m hearing, is key. It feels very different to be the aggressor rather than the squad being attacked. Particularly in the early part of a match (i.e. one ring close/10 or so squads left. I find that the open nature of the map means that attacking squad has a significant advantage. They can inflict huge damage on their often lightly armoured opponents before they receive return fire. I've come to the conclusion that using voice comms is also a key to success. I played six or so games last night, had voice comms in none, and didn't score a kill or make it into the 8 squads once! We'll have to put all this into practice. I've found a lot more success in being the aggressor as well. With a mic'd full squad, you can also all engage at the same time, which can create a lot of confusion for the enemies. OK folks time to talk about bunker. I know it's a named spot, but this is one of the weakest spots on the map. Not only in regards to loot, but in a strategic place to fight. You're supposed to try and help your RNG chances when landing somewhere. Bunker does not do that for you. Yea sometimes you fall short or sh*t happens and you have to make do, but i just went 5 matches in a row with pubbies landing there. Intentionally. A lot of streamers go there. Pubbie's are sheep. You know this. Yeah we run through if we have too, but most of the time we try to push a team into it and then back out as soon as we can. I like this game, but I'm still learning it, and I'm sick of being yelled at by strangers. If anyone's playing on PC and is willing to put up with a newbie, send me a friend request. I'm MNGwinn on Origin. Hop into the GWJ discord there are groups running every night. Lately I’ve been spending time in training mode getting a better feel for each of the guns at the shooting range. My twitch skills remain abysmal (and likely will remain that way) but I’ve found I’m definitely landing more shots in matches and getting better at staying frosty under fire. I’ve also gotten much better at using the landscape/buildings to my advantage, both in moving without detection and getting good angles for firefights (i.e., good visibility on targets, hard for return fire to hit me, good escape routes). Anyway, always down to play with other ps4 GWJers so hit me up folks! Yeah, I guess I need to figure out discord. Lately I’ve been spending time in training mode getting a better feel for each of the guns at the shooting range. I should do this again. I've nursed particular guns through an entire match (because Twitch streamers rave about them) then, when suddenly faced with an enemy, I've started shooting and just had time to think, "Wow, this REALLY isn't a gun for me," before being mown down. Brought back down with a bump straight after, with the next match done for in seconds! Oh yeah, it's a big roller coaster when you are Champion that initial round and come back and end up #18 out of 20 in the very next one. It definitely keeps you humble. Something that keeps it from being frustrating is that losing a match takes no time, and then you get to start over. Coming from overwatch, where you've gotta keep throwing yourself at a team that is beating you for the last few minutes of a match, it's kinda refreshing to just get it over with in a flash. Finished work half hour early, thought I'd have a couple matches before school run. Couple of nothing games... Then a weird one. My team ran off in opposite directions and both got killed and beyond saving within a minute. I went on to survive for a little over 23 minutes without firing a shot, going all sneaky, sneaky and scavenging from the crates of the fallen along the way. Down to 3 teams, I hear gunfire... I have to leave to pick up the boy... I stand and walk out of the ring and into the red hot light, end game. Run quick smart to school pick up. This is such a good point. I started playing Overwatch last October, and had a great time, but I've been out for a while. Also, so far, the Apex community is waaay less toxic than OW. OW is terrible, particularly (but not at all limited to) ranked. And some of that probably is linked to how much time someone is investing in a match, only to feel that they've lost before it begins thanks to a terrible comp. 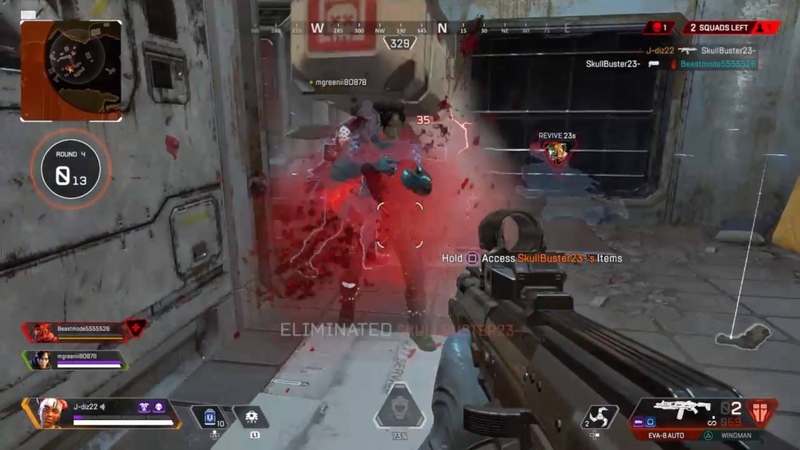 In Apex the worst that can happen is you die pretty quickly and just go again. I've had so many good or grsat experiences with randoms in Apex and only two relatively minor negative experiences. I do think this could change if and when they introduce ranked modes, however. IMO, with any game of this nature, it comes down to playing solo vs. playing in a group. No way do I have over 300 hours on one OW character and over 100 hours each on 3 others if it wasn't for playing in a group of 3-5 other GWJers. I would have flamed out a couple years ago. I feel similarly about my forays into Apex. I can play solo, but I am much more likely to look on Discord and join up with a group of two others. The issue is, that is two people vs 5 other people. They also fill up quicker for that reason.